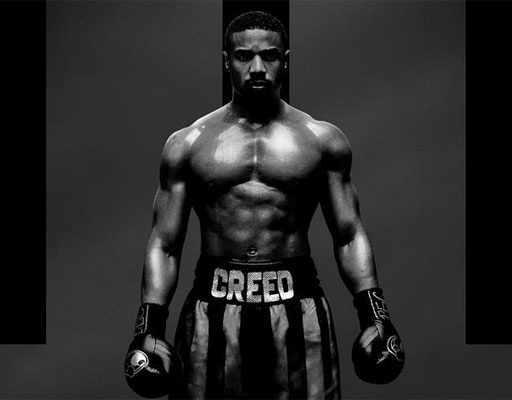 Hot on the heels of winning 'Best Villain' at the MTV Movie Awards this weekend for his turn in the mega-hit super-hero movie, Black Panther, Michael B. Jordan is giving you 'bah-dee' on the newly released poster for the upcoming Creed II. The official artwork, trailer and synopsis were just released for the sequel which hits theaters November 21. In the new film, Adonis seems determined to avenge the death of his father, Apollo Creed, by taking on the son of Ivan Drago (played by Dolph Lundgren) who killed Adonis’ father in a charity fight years ago. Newcomer Florian “Big Nasty” Munteanu joins the franchise as Drago’s son, Viktor Drago.